Little pet peeve of mine and maybe in need of a fix. 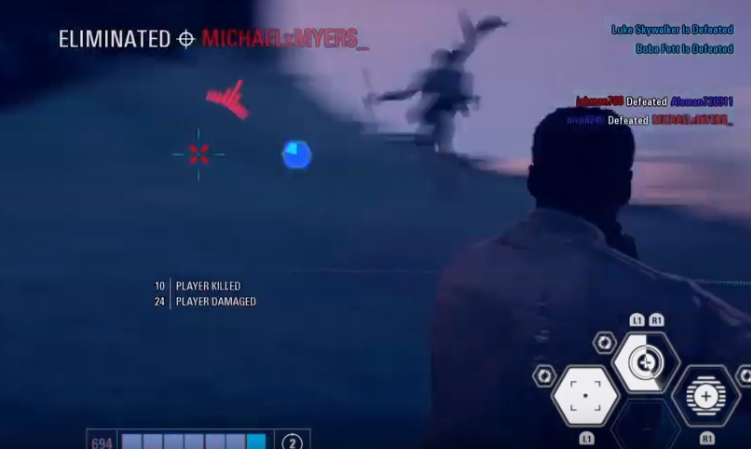 Thermal imploders, thermal detonators, flash grenades can injure or kill you even if you a behind cover or on the other side of a wall. Thermal imploders are the worst for this. Plus a bunch of times now I've run out of it's range it goes off, I run back only to die in some invisible left over range it has.... I'm talking about it exploding doing a 3 steamboat count and running back and getting killed. Please fix this. Officer flash grenades can be a one hit kill??? Need a bit of a nerf not on the flash portion but on the damage aspect imo. A disrupter on the other hand doesn't always work and if the is even a hint of cover will not effect the enemy... What gives? Not a gripe fest please... Just thoughts. Agree with all. The imploder being the worst offender; I do exactly what you do and get killed well after the explosion’s expired. It’s the bad netcode in this game. Or possibly just latency on your end but grenades do not injure you while you are in cover in a perfect situation. Flash Nades, I'm pretty sure, cannot be 1HKO, unless it explodes into fragments in exactly the same corner you're ducking in. Even then... Doesn't sound right. Even with the improved flash starcard, it sounds very unlikely. Netcode is terribad in the game tho.